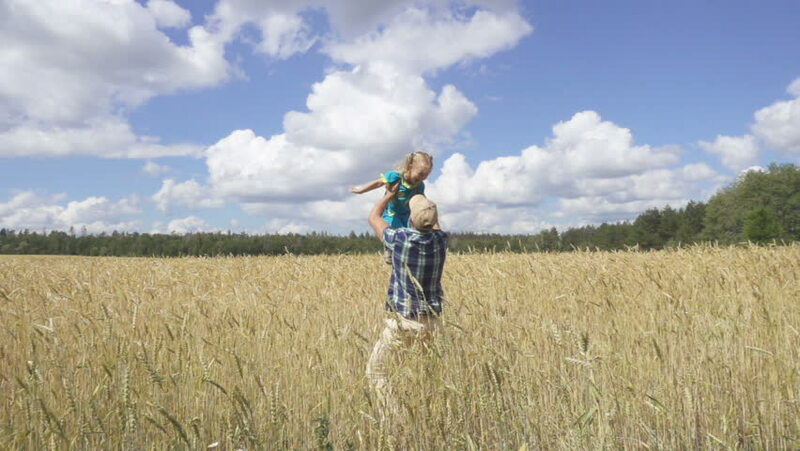 hd00:31Father playing with young son on raising his hands above his head in a wheat field.Slow motion. hd00:27Wide Shot Man Running On Hill in Slow Motion. Beautiful nature landscape with young man in tracksuit running over the hill exercising. hd00:19Farmer is looking wheat on the field which is a part of his big property on the beautiful agricultural countryside.